If you are looking for extremely delicious and nutritious dishes in the Mediterranean, the Maltese cuisine should be your choice. These dishes will keep you going for more. 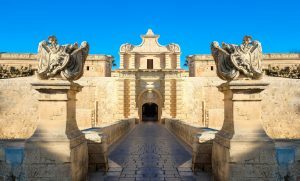 Food prepared in Malta mostly constitutes ingredients that are locally produced. This Mediterranean island has good production of vegetables such as tomatoes, olives among others. 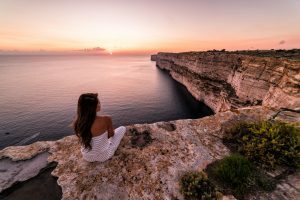 What makes Maltese dishes to be delicious and stand out is that these dishes are made in a combination of the cuisines from North Africa, Sicily, and France. One will also find some British culture integrated, especially in hot beverages such as tea. 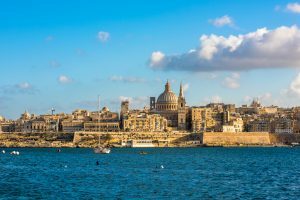 The following are our top five dishes of the Maltese cuisine. This is a traditional dish which is locally known as ‘Stuffat tal-Fenek’. It a delicacy that has been taken as Malta national dish. This type of dish has been popular since the Middle Ages due to its affordability. At one time in history, rabbits and hares were hunted so much that a ban had to be put in place to prevent their depletion in Malta. This ban was later lifted in the 18th century and the popularity of this dish continued to thrive on. 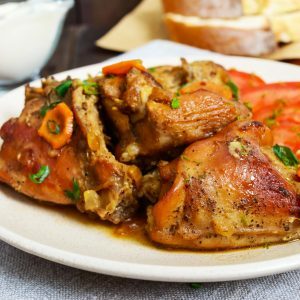 Maltese stewed rabbit can be served in a number of ways, which mainly depends on the occasion. The organs of the rabbit and the boneless meat, and peas can be served plain without garnish or severed in combination with spaghetti that marinated in rabbit sauce. Potatoes, vegetables and wine are the ideal accompaniments to be served along with this course. This is another dish found in Malta and is very popular among the locals. It is locally known as ‘torta tal-lampuki’ and it is made from a variety of sea beam fish called Lampuki and is known for its distinctive colours when fresh. This type of fish is most in season between August and November. The locals in Malta sell the ‘lampuki’ in the streets from little vendors or vans. The dish also has dough and cauliflower or spinach. This type of dish has various ways of preparing it and among them being shallow-frying and baking it in the oven. 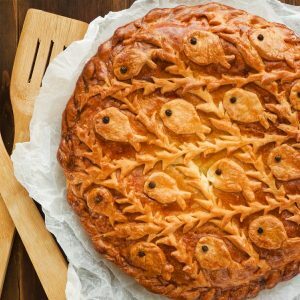 Since this is a traditional dish in Malta, the recipe to make traditional torta tal-lampuki is passed from one generation to the other and this recipe may vary from one family to another. However, there are readily available recipes that outline how a delicious dish of Lampuki can be prepared. A number of food restaurants do sell this dish and mostly they make it in form of a pie. 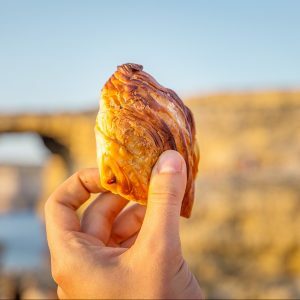 This is popular Maltese savory pastry that has been in existence since the 18th century and its preparation can be found in the naval documents. 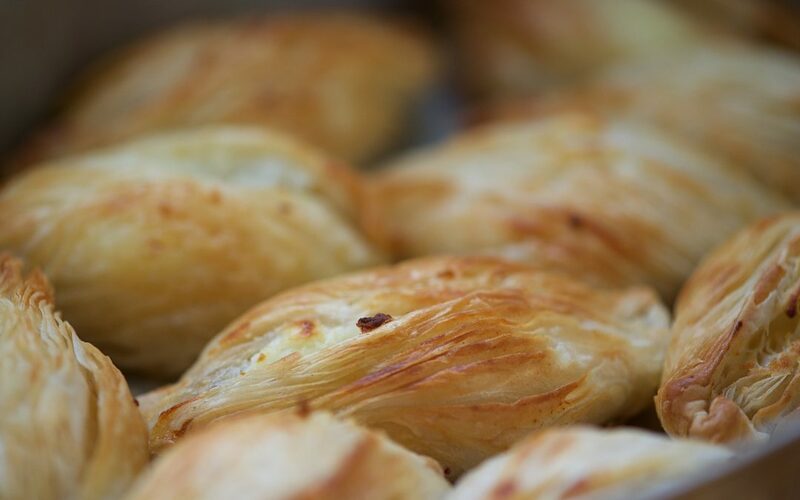 Pastizzi are snacks that consist of pastry filled with ricotta or mushy peas. This type of snack can also be referred to as cheesecake. 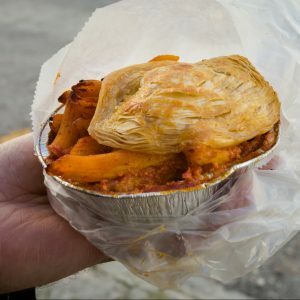 The preparation of this delicacy has not changed that much over the years, meaning the modern day pastizzi are similar to those that were prepared back in the 18th century. You can easily identify a pastizz from its croissant look which comes from it being rolled using flaky pastry. Tuckshops and pizzerias are the major sellers of these snack and you will find these outlets scattered all over the villages. Locals buy these snacks so much that an idiom (selling like Pastizzi) has been coined from the sale. Another major outlet of pastizzi is Crystal Place that is usually always open meaning anytime, one can buy this delicious snack. You will like it when you take this snack together with Kinnie which is a Maltese soft drink or otherwise with a cup of tea. This is a Maltese dish that originated from Sicily and is locally known as ‘timpana’. This scrumptious dish is simply macaroni baked in saucy pastry. Due to recent growing trends to eat healthy and avoid eating carbs, the popularity of this dish has decreased. However, when this dish is prepared using healthy olive oil, then it does not contribute to weight gain nor health problems. This dish has been in existence for quite long and it was earlier prepared for as a Sunday meal. By then, women would bake timpana in the village bakeries that had ovens that were shared amongst the community. A number of ingredients are used to prepared tympana among them being eggs, cheese, minced meat, and tomato sauce. All these are enclosed using a penne-shaped pasta then a flaky puff covers this pasta. The recipe, however, may slightly change from one family to another. This is a dish that you will find in almost every home in Malta and each family will have its own recipe. It has been in existence for long and it is one of the dishes that stands out in the list of traditional food list. 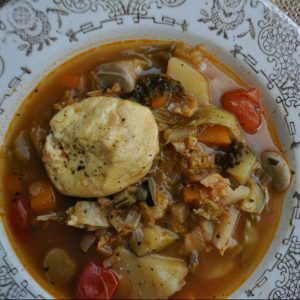 Soppa tal-armla was also known as the widows’ soup, and it can be associated with the ingredients used to make this soup, which are those that a poor widow can only afford. This common dish mainly consists of cauliflower and gbejna (Maltese goat cheese). 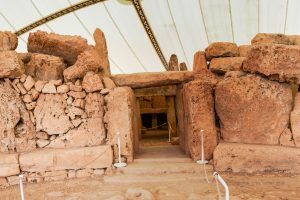 The Maltese previously regarded soup as a sufficient meal but lately, this has changed and now soups are taken to be starters as one waits for the main course. Widow’s soup is very delicious and full of nutrients. It is one of the simple Maltese dishes that you will definitely adore.